The Cramit cocktail may sound rude, but it’s nothing but smooth. 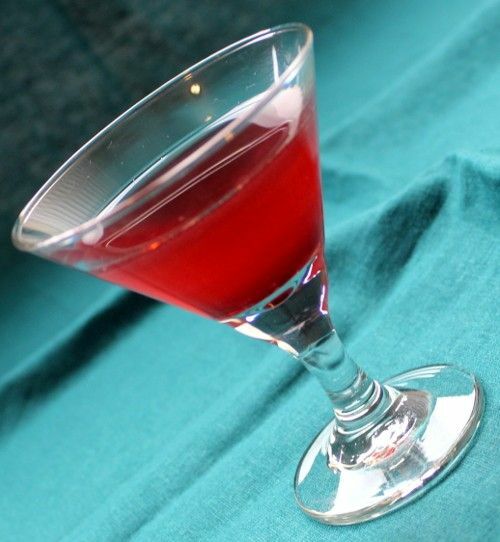 It blends amaretto with cranberry juice, and that’s a surprisingly nice combination. The sharpness of the cranberry and the mellow sweetness of the amaretto turn out to complement one another beautifully. This drink is mildly sweet with such delicious berry and nut notes that it might attract squirrels. To be safe, you should probably only enjoy this one indoors. If a squirrel really wants something you have, he can become a mighty foe. No, really, it’s true! Pour the ingredients into a glass and stir.